As Team Korea trampled Germany, the top-ranked team in the world, by 2-0 in the final score of the Group F match in the World Cup on June 27, not only Korean, but also Mexican, fans went into a frenzy of celebration. Mexico got crushed 3-0 by Sweden in the final deciding match, played at the same time, and was almost destined to not advance to the Round of 16 if Germany were to defeat Korea by at least 1-0. However, with Korea’s unexpected victory, Mexico was assured a spot in the Round of 16. 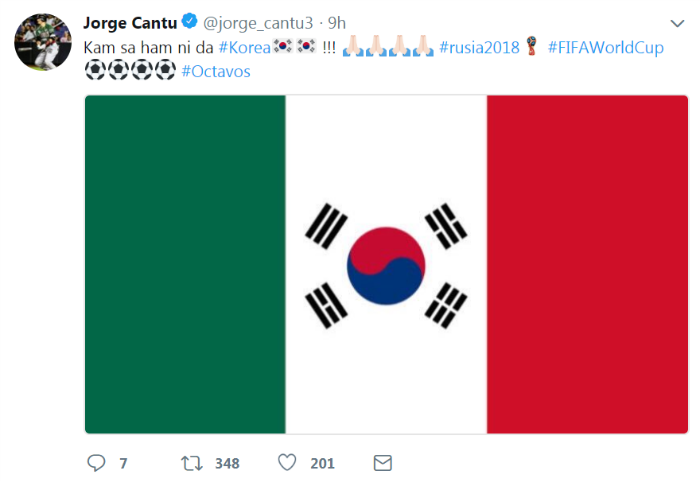 Video clips went viral of Mexican fans tossing Koreans into the air in celebration, while images that combined the Korean and Mexican national flags spread instantly on social media.